The 8th annual Woodwind Workshop will take place at the University of Montevallo on November 16-17, 2012. Interested students may register at www.montevallo.edu/music or see Dr. Sargent for a hard copy of the application. 1:00 Call time and uniform fitting, band room. Be sure to have eaten lunch, done hair, makeup, cleaned instruments, etc BEFORE your arrival. 6:30 Return to GCHS stadium to view AAAA bands and exhibition bands, visit vendors, etc. 11:00 Arrive in Moody, unload, stow uniforms, EVERYONE HELPS. Please have rides ready. • Items will be available inside the stadium during chaperoned trips to vendors. Students might want to bring some extra spending money for the trip. • Bring your travel uniform, including band t-shirt. Wear under-armor shorts under the uniform so you can change on the bus or in changing rooms in front of others. • Saturday’s weather is likely to be warm during the day but cool in the evening. Bring appropriate clothing. Please Note: Dr. Sargent has supervision duties away from the band room each morning this week. Students arriving before 7:45 am should report to the MPR or the MHS gym. Thank you! Mark your calendars! The Band Booster's Movie Night fundraiser will be held on Saturday, October 13th at the MHS stadium. We need all hands on deck for this event! Details will follow. Birmingham Southern and Huntingdon College marching honor band information just arrived today in the band room. See Dr. Sargent for an application and details if you're interested. Remember, all honor bands are at the discretion and supervision of parents or guardians. Moody band activities take precedence over any honor band activity. Greg McGinnis would like some help finishing the renovation on the band concession stand this Saturday. Work will begin at 9:00 am. If you are able to help, please contact Greg at greg.mcginnis@sccboe.org. If you're interested in a scholarship opportunity, please see the site below for qualifications and an application. If you have trouble with the link, e-mail Dr. Sargent at brad.sargent@sccboe.org. Band Boosters will meet this Tuesday at 6:30. We have some important issues to discuss, so attendance by as many parents as possible is appreciated. This event will take place on Saturday, November 10, 2012 and is open to ALL band members. The $50.00 fee per member is due by Friday, October 5, 2012. However, the fee reduces to $40.00 per member if 12 or more from a school participate. Below is the link. If you have trouble opening this, e-mail Dr. Sargent at brad.sargent@sccboe.org for direct access to the site. The following honor band and scholarship opportunities arrived today. Ask for a hard copy in the band room or check the bulletin board for more info. Students are strongly encouraged to take advantage of these opportunities, but please rememember to check the Moody band calendar for conflicting dates. The Moody band should take precedence. Parents are responsible for supervision at these events. Dr. Sargent does not attend. Participation is solely at the option of the student and parents. We need parents to take LOTS of pictures. If your student participates in outside band activities (i.e. this weekend when some students go to Auburn to participate in the AUMB Honor Band, All State, and concert honor bands, etc. ), Band Boosters need these to go on a CD that we like to give to the Seniors at the spring band banquet. Usually it is not a problem for whole band functions like Midsouth and band camp, etc. I guess this really only applies to Seniors, but I think it is great to include everyone since we like to show the photos at the band banquet. If parents preorder, the DVD will still be ready for pick up - with no forms to fill out! Good luck and we will be seeing you soon! The warm up area is the Springville band practice field. Buses and equipment truck park by the field so everything can be close. There will be a place marked in the stands for our band to sit. Procat is making a professional video of our band. An order form will be placed on the Yahoo Groups files section. There will be videos and expo tee-shirts for purchase. Students might want to bring some extra spending money. There is a $3.00 admission donation for adults, but students and chaperones get in free. I need 11 volunteers to work the concession stand this Friday night for the Hayden vs. Moody game! I need workers there between 5 & 5:30 PM. I need to know who is coming to help to be sure your names are on the list. This will ensure that you don't have to buy a ticket to get in or pay for parking. Please let me know if you are able to help by email at mattkimbennett@aol.com, or by phone/text 205-914-3559. If you have some experience installing windows, would you please let me know. I have some ideas and I wanted to run them past a few others before I order the windows. *Because MHS does not begin classes until 9:00 am on Wednesdays, we will begin a morning routine of warm-up and music rehearsal for all who can attend. With contest season upon us, attendance is desired by all members as long as you're able to stay on Wednesday mornings. MJHS students will need to leave at the 7:45 am bell. MHS students may stay until 8:40. Here is video of the Moody Blue Devil Marching Band 8-31-12, Moody at Odenville Football. The new rule for transporting band instruments on buses was just placed on the Yahoo Groups site. This is not MY rule, I'm just passing it along. Please don't let it discourage you from taking your instrument home to PRACTICE! Just be sure to put your instrument in the seat, not in the aisle, and work diplomatically with your bus driver to be sure you are allowed to continue bringing your instrument on the bus. The success of our band program depends on instruments going home EVERY DAY! If the above website requires a password and you are unable to log in, see Dr. Sargent for a hard copy of the audition material. Auditions for All-State/All-District will be Saturday, Jan 19, 2013 at Southside High School. All Moody Band students are encouraged to start preparing NOW and auditioning for these bands. Please remember: Parents and guardians of beginners may want to bring a checkbook or credit card Tuesday evening for an instrument deposit. All members: Fall semester school band fees ($20.00) are due by October 15. 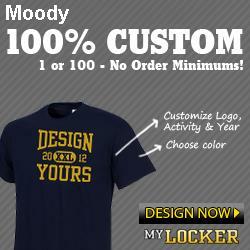 Make checks payable to Moody High School. Dr. Sargent will receipt all funds. Marching members should bring water and a change of clothes for band practice daily. Please have rides ready at dismissal times. Less than one month remains until contest. Attendance is crucial! Please schedule doctor, dentist, hair cuts, etc. on non-rehearsal days.